Are you applying to a graduate programme, internship, or a PwC experienced hire position? Learn what the PwC psychometric tests are all about and prepare for them with JobTestPrep's tailored PwC practice tests. Improve your skills, gain confidence, and outperform the competition in your PwC hiring and testing process. What tips or advice would you give to someone interviewing for this company? Test is broken down to 3 Parts: Verbal Reasoning, Numerical Reasoning, Logical Reasoning. Time management is key for all. What was the hardest part of the hiring process? The numerical was tough without studying. but I redid it after looking and solving some examples. It changed my mind set and made me more observant to charts and data. That's the major difference. PricewaterhouseCoopers (PwC) is the second largest professional services firm in the world and is one of the "Big 4". As such, the company is highly selective in the candidates they hire and has created a challenging recruitment process to help find the best and brightest applicants. To make sure you are one of the candidates who passes the exams and joins PwC, you need to know which types of tests to expect and prepare for each of them with the appropriate materials. Below we will go through the different assessments you can expect in your PwC application process and offer tips and tailor-made preparation materials that will help you pass the application process with flying colours. The PwC application varies between candidates depending on the type of job or programme for which they are applying, as well as the level of the position. Therefore, when preparing for the process, make sure to pay close attention to the information you receive from the recruitment team. Below we will discuss the basic things all candidates should be aware of when applying to the company. We will start with the core competencies they are looking for in each and every prospective employee. Then, we will move on to the first stage of the recruitment process — the application form. This stage is common for all applicants to PwC and its subsidiary Strategy&. Later, we will present the next stages of the application process. 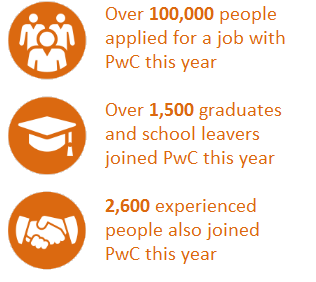 As the process varies between applicants, we will focus on applicants for the PwC UK graduate programme and internship. To learn about the recruitment process for other job levels, check out our PwC Experienced Hires and School Leavers pages. If you are applying for a position in another country, you might be interested in our PwC Australia or Ireland pages. Whole leadership - This means leading both yourself and others through your work. You must show yourself to be responsible, authentic, resilient, inclusive, and passionate in your own work. Business acumen - What you bring to the table is important, and the company is looking for the knowledge and passion to learn about the business as well as for innovative individuals who are fresh thinking in what they create for the company. Technical capabilities - Delivering quality and highly-valued service is a must with PwC, and, as a candidate, you need to show your willingness to maintain professional standards, expand your technical knowledge and expertise, and share what you have learned with others. Global acumen - Global companies need an outlook that is larger than life. Broad perspectives, embracing change, and fresh insights are traits the company is looking for in candidates. Relationships - Good communication skills, maintaining strong and authentic relationships, and the desire to give exceptional service are highly-valued characteristics the company is on the hunt for. It is, therefore, necessary to try and incorporate these competencies into all of your answers. By doing so, you will show recruiters that not only do you have the skills needed but also that you really are suited to work for the company. On many occasions we have seen that motivation is the deciding factor on whether you actually get the job offer, so make sure to have these competencies in mind every step of the way. All candidates, both novice and experienced, begin their recruitment process by filling out an online application form. For school leavers, students, and graduates, the application continues at this point. You will need to answer questions about your eligibility for the job and your educational and employment history. You will also be asked to explain why you have chosen this position and career field in 500 words. You may also be given several competency-based questions to answer. For experienced hires, a well-structured and informative CV should give the company all the information it needs to decide if you have what it is looking for. Be sure to tailor your CV to the job description and make any necessary changes or highlights. 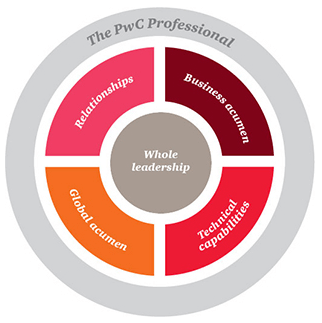 When filling out the form, bear in mind PwC’s core competencies and integrate them in your answers. Be careful not to do it too bluntly, though. PwC wants to get to know you, so use your own language and avoid copy-pasting from its leaflets or website. Before clicking on the send button, go over the entire form and make sure there are no spelling or grammar mistakes. After all, you do not want to lose out on your dream job for something as fixable as that. Once your application has been submitted, it is reviewed by PwC. If it is approved by the recruiters, you will be informed of the next steps you need to take. Most candidates need to complete one or more psychometric tests provided by CEB’s SHL. These include numerical, verbal, logical, and/or personality tests. Some candidates will be asked to take numerical and verbal reasoning tests delivered by a different company called cut-e. An additional test often required to complete is the Watson Glaser Test. If you wish, you can read more about PwC’s Online Tests. If you manage to successfully pass the online tests, you will be invited to the first of two interviews with PwC. This interview is conducted either face-to-face or by telephone depending on the job for which you have applied. It usually lasts about 45 minutes, with candidates for summer internship and work placement programmes having a shorter interview lasting approximately 20 minutes. The next stage of the recruitment process for graduates and undergraduates is an assessment centre. This includes verification tests for the aptitude tests you previously took. There is also a written communication exercise and a further exercise performed either individually or in a group. The final stage of any student or graduate recruitment process — the final interview — takes place either at the assessment centre or at an arranged time afterwards. You can expect your interviewer to be either a partner or a director from the business area you are looking to join. Interviews can be the most nerve-wracking part of the process, but preparation is key to helping you stay calm and focused. With the help of our experts’ guide, you can ensure a stellar performance during your interview. The guide, included in our PwC Interview & Assessment Centre Preparation Pack, offers useful tips and insights as well as recommendations for answering common questions. Our PwC Online Tests Preparation pack provides you with all the resources you need to prepare for your psychometric tests: an extensive amount of online CEB SHL-style practice questions that are specific for student/graduate level, professional personality tests accompanied by a personalised and detailed report, and a rich collection of study guides and video tutorials. Our PwC Interviews and Assessment Centre Exercises pack offers detailed guides and other preparation materials to help you pass your interviews and assessment centre exercises at PwC. Almost every candidate applying to PwC needs to take one or more online psychometric tests. 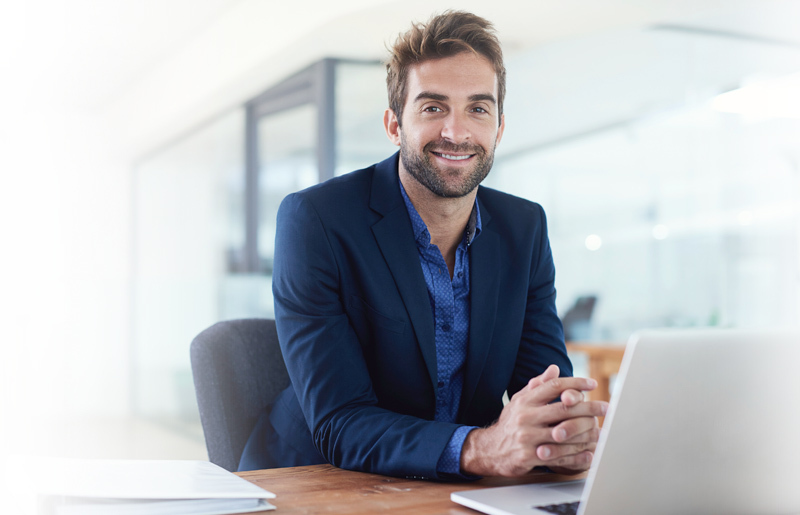 These tests are usually provided by the well-known assessment company SHL, with some candidates taking tests provided by other companies, such as cut-e or Saville. In addition, candidates are often required to complete a Watson Glaser test.The exact types of tests you will be asked to complete and their difficulty level depend on the job or programme for which you are applying, as well as the level of the position. Thus, when preparing for the tests, carefully read the information you receive from the recruitment team. This page focuses on the four most prevalent CEB’s SHL tests used by PwC: numerical reasoning, verbal reasoning, logical (or inductive) reasoning, and the personality questionnaire (OPQ). It also briefly discusses the numerical and verbal tests provided by cut-e (Aon). The preparation materials we offer on this page are tailored for students, graduates, and other candidates applying for graduate-level jobs at PwC UK. For recommended resources for other candidates, check out the relevant page for you: PwC Experienced Hires, PwC School Leavers, PwC Australia, or Strategy. If part of your PwC application process is the aptitude tests you should ensure you understand the assessments you are required to complete. The practice materials include full-length practice tests, study guides, score reports, and other helpful resources. Ensure your success by practising with JobTestPrep. If the online numerical test is at the top of your biggest fears list, you are in good company. Many candidates dread a numerical assessment of any kind. The format of the PwC SHL numerical reasoning test is as follows: you are presented with numerical data in the form of a table or a graph, which is followed by multiple choice questions relating to it. Answering the questions often requires performing calculations involving fractions, percentages, ratios, and conversions. Thus, make sure you master these basic concepts and practise answering data interpretation questions. Most candidates are allowed the use of a calculator and those who are not being notified beforehand. Looking to brush up on your maths skills before your numerical test? Our PwC SHL–style numerical practice tests have everything you need to prepare. Less intimidating than its numerical counterpart, the PwC verbal test can be a surprising challenge for many. On this test, also provided by SHL, you are presented with a short text that is followed by several questions. Each question presents a statement that you need to quickly analyse and decide if it is true, false, or you cannot say based on the text. Quick reading and sharp verbal reasoning skills give your test performance a boost. Practise these skills for your upcoming online assessment with our PwC SHL–style verbal reasoning tests. Logical reasoning includes a broad spectrum of tests and PwC’s SHL logical test focuses on inductive reasoning. This is very different from the other online tests used by the company as it works with shapes and patterns rather than words or numbers. The format of the PwC logical reasoning test is as follows: You are shown a series of images that follow a set of rules you need to figure out. Once you have determined the rules, you must choose the next image that logically fits in the series. Finding the right type of practice for this test is essential. Use our tailored PwC SHL–style logical reasoning test practice pack to understand and master the finer points of this online assessment. Behavioural tests like the PwC personality questionnaire (also known as the work style preference questionnaire or the OPQ) give the company a fuller picture of your potential fit in the workplace and company culture. This untimed, online test has over 100 questions that look at multiple personality traits. The PwC personality test presents a two-fold challenge: giving honest answers whilst also showing your best character traits. Preparing for this test can help you overcome this obstacle by giving you the tools to fully understand each question. Improve your skills and gain confidence with our all-inclusive PwC SHL–style online tests bundle pack. Get all you need to prepare for your numerical, verbal, logical, and personality tests. Some candidates face aptitude tests provided by a different assessment company—cut-e (Aon). These include a verbal reasoning and a numerical reasoning test. cut-e (Aon)’s tests are different from other psychometric tests you may be used to as the concepts, test format, and question types are all unique to cut-e (Aon). On a cut-e (Aon) verbal ability test, you are given 12 minutes to answer 49 questions, making this a strict time-limited test. The cut-e (Aon) numerical ability test gives you slightly more time per question, with 37 questions to answer in the same 12 minutes. Our cut-e (Aon)–style bundle pack includes both numerical and verbal reasoning practice along with useful video tutorials to make preparing for these tests a breeze. How to Pass the PwC Online Tests? PwC recommends that all candidates prepare for their psychometric tests in advance. Our experience shows that the majority of applicants take this advice very seriously and dedicate a considerable amount of time and effort to practising. (After all, the competition for every spot in PwC is high, and no one wants to get eliminated just because of a bad test score.) So, a casual approach to these tests is probably not recommended. If you do not want to remain behind, you better get to work. The best way to prepare for PwC’s aptitude tests (i.e. the numerical, verbal, and logical reasoning tests) is to get to know the basic concepts important for each type of test and to practise under time constraints. To pass the PwC personality test, it is recommended to review the company’s core competencies and to gain a better understanding of how to answer personality tests. Together with our study guides and video tutorials, these practice tests help you master the major concepts important for succeeding on PwC’s tests, increase your speed, and improve your performance on the actual tests. Where are you applying from? There are a number of different PrepPacks™ available from this page. In general, you can use the following guidelines to select the pack you need. Click on the country you are applying in. PwC, SHL, cut-e (Aon), Saville and other trademarks are the property of their respective trademark holders. None of these trademark holders are affiliated with JobTestPrep or this website.